Click on Home to open your homepage. To connect with teachers in your school or district, click on your school name or district name under your profile photo, then click on the Follow button for each person you want to follow. 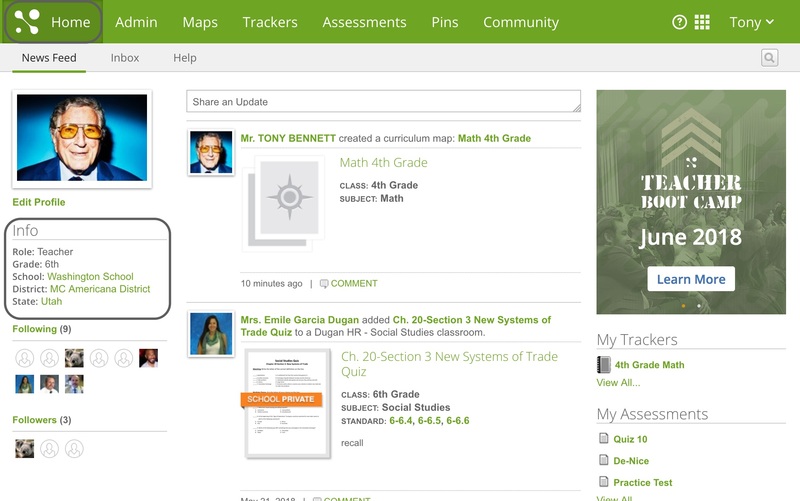 To connect with teachers outside of your district, click on Community on the main navigation bar. Use the drop-down menus and tabs to filter through teachers, or type a name in the search bar to search for a specific person. Click on Follow to connect to any teachers or administrators. After you're connected, you can see any activity from your connections in your news feed.